The later the night, the more dynamic the life in Ho Chi Minh City!. You don’t want miss out on all the fun that this city has to offer. 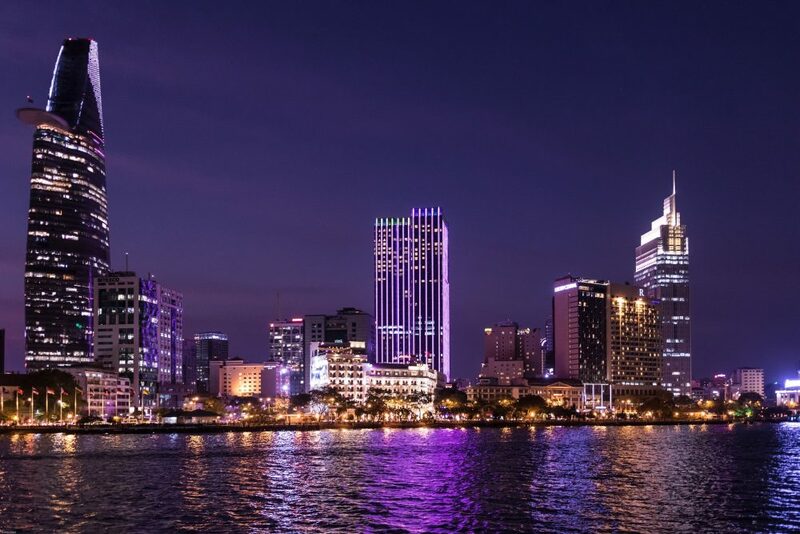 People say “Sai Gon never sleeps”, you don’t have to worry about searching for things to do here at night. 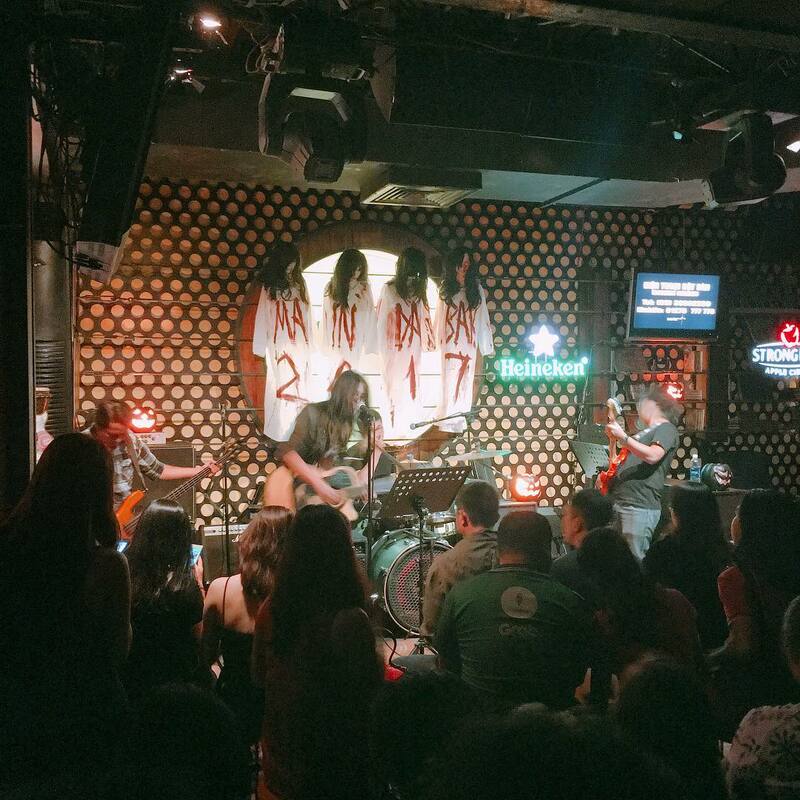 Let’s explore our top experiences of Ho Chi Minh City nightlife! The Opera House is used to organize large scale performances. Professional art performances such as theater plays, traditional opera shows, ballets or fashion shows frequent the Saigon Opera House. During daytime, the Opera House is a marvelous architectural monument. At night, it becomes much more fancy with a glorious lighting system. The hall in front of the building is a favourite place of locals, who want to find a place to have a dialogue with friends or who like watching people passing by. A secret place that is loved by young Saigonese is a small milk tea vendor behind the Opera House. Though Saigon is overrun by dozens of milk tea brands from Taiwan, Hong Kong or Singapore, this vendor is still loved by its loyal customers. Its’ staple drink is made with simple milk tea from filter bag tea, and the price is only one third of a its competitors milk tea! The stairs in front of the Opera House are windy and airy, a perfect place to watch the city alone or with friends. To travelers and art lovers, the Opera House is where you can enjoy excellent contemporary art performances such as an O Show or The Mist. These are a delicate mix of dance with a play or circus, that uses traditional instruments and materials to highlight the cultural distinctiveness of Vietnamese. Nguyen Hue Walking Street is the venue you should not miss if you really want to get a taste of Saigon nightlife! The vibrant atmosphere, the crowds of street dancers, singers or musicians, the mix of both locals and travelers create an upbeat feel on every corner. 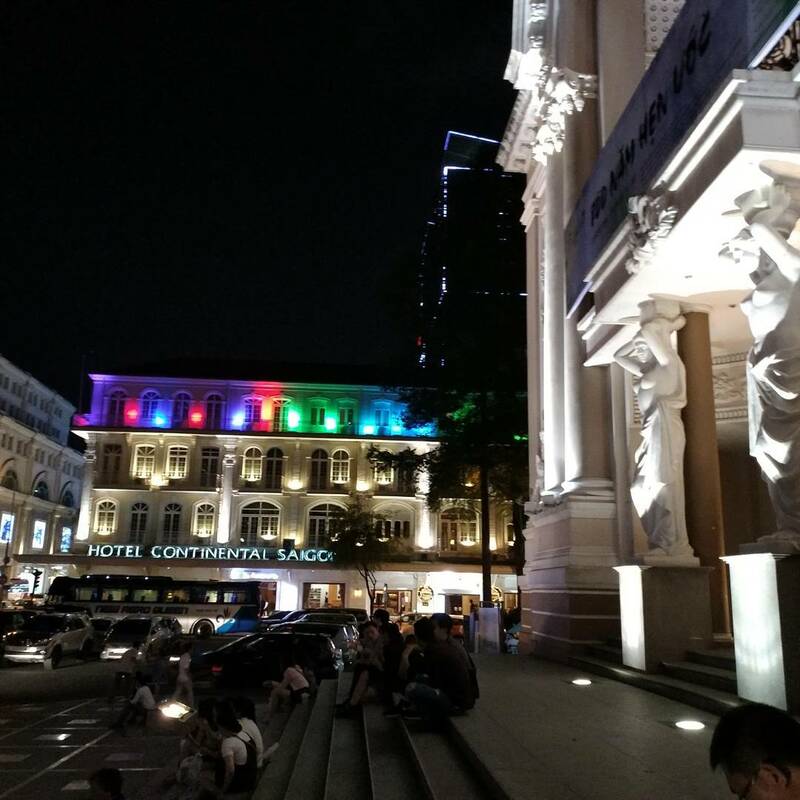 Whether you’re looking for a place to hangout with friends or romantic date night with your significant other, Nguyen Hue Walking Street is a great place to be. 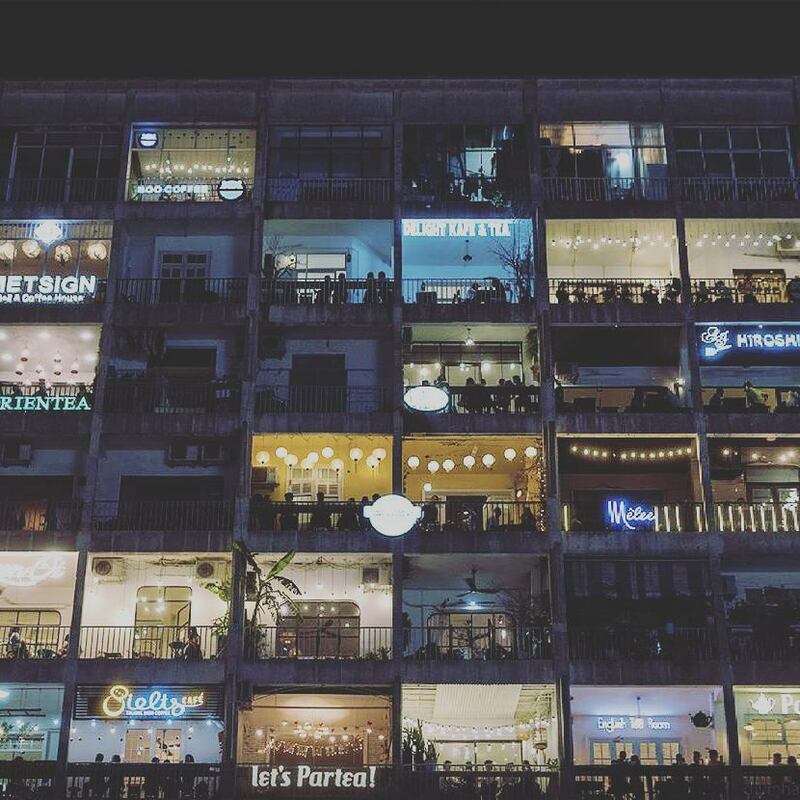 this place is full of awesome hidden gems you should not skip, especially if you’re looking for a hub of trendy local fashion brands, tasty restaurants and hidden coffee shops with the view straight to the walking street. This tower is not only a place to shop for premium brands but you also can have access to a bar on level 52 for a panorama city view. If neither of these sound appealing you can also taste test a number of different milk teas, whose stores are all around the tower. Air Sky Bar 360: a luxurious and modernized bar to enjoy the glamorous city from above at night. Address: 136 – 138 Le Thi Hong Gam street, District 1. Note: sportswear and flip-flops are not allowed. 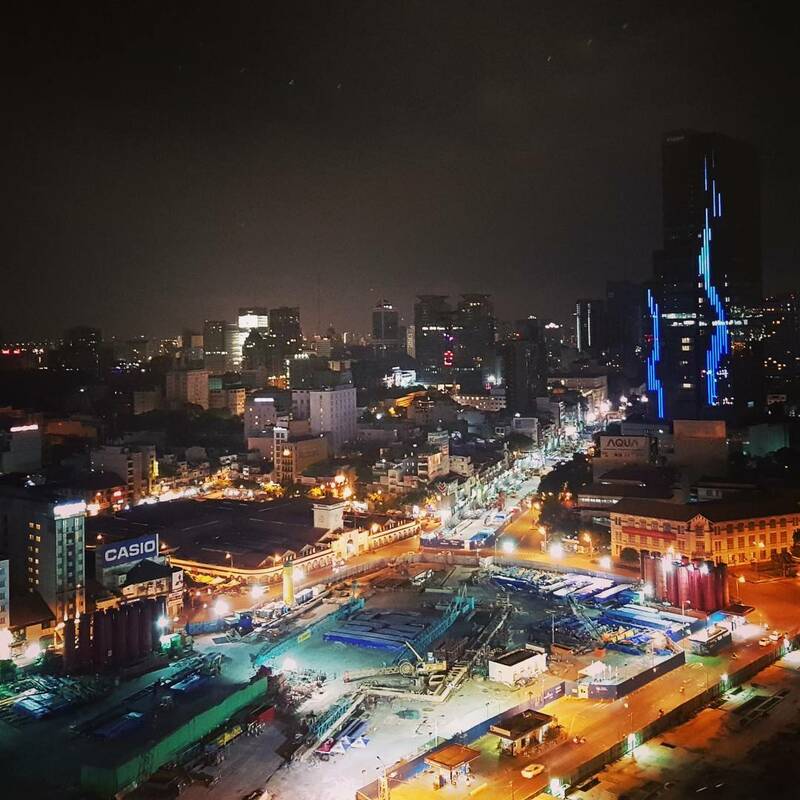 Gorgeous city view from Air Sky Bar 360. The Penthouse: a cozy and classic bar with deep-toned design, a perfect place for a low-key group night out and meet ups. S.I.X: Provides a spacious layout, reasonable pricing and great customer service, S.I.X is becoming a favourite choice of locals to entertain, especially on the weekend. Poc Poc beer club: a newly opened beer club right in the center of District 3, within walking distance from the Turtle Lake, the beer club provides a fun, affordable place for drinking. They do not only serve beer but you can also enjoy high quality items from a super tasty menu. Note: wear whatever you like, no dress code required. 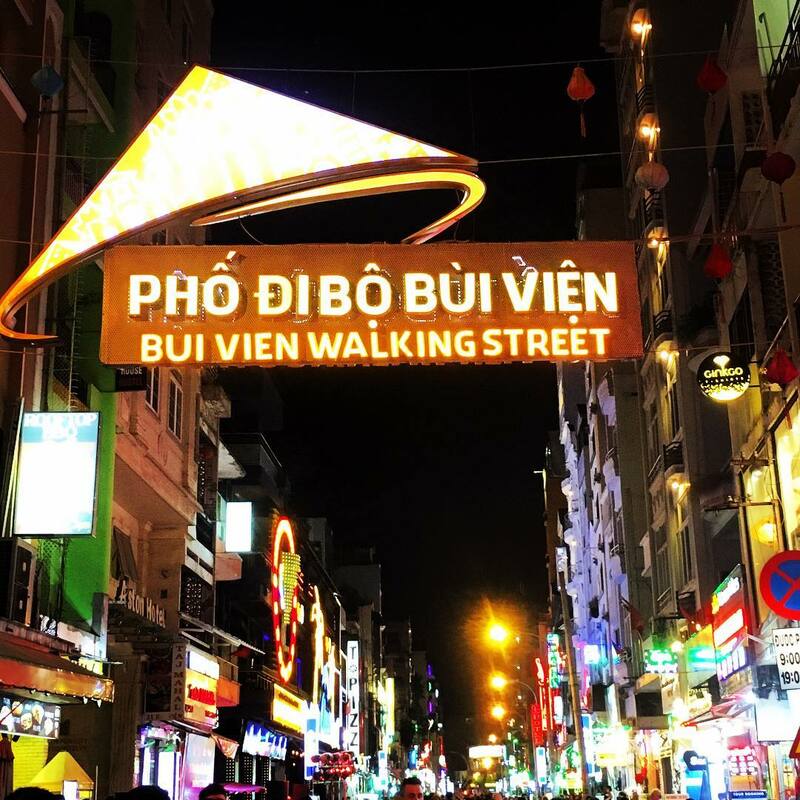 Located right in the heart of the city, comprised of Pham Ngu Lao, De Tham and Bui Vien street are home to the majority of tourists and travelers. Lots of services are established to meet the demand of these visitors such as hospitality, tourism, bars, and restaurants. People say “Saigon never sleeps”, you know it’s true if you have chance to visit here and observe the vibrant, never ending nightlife. 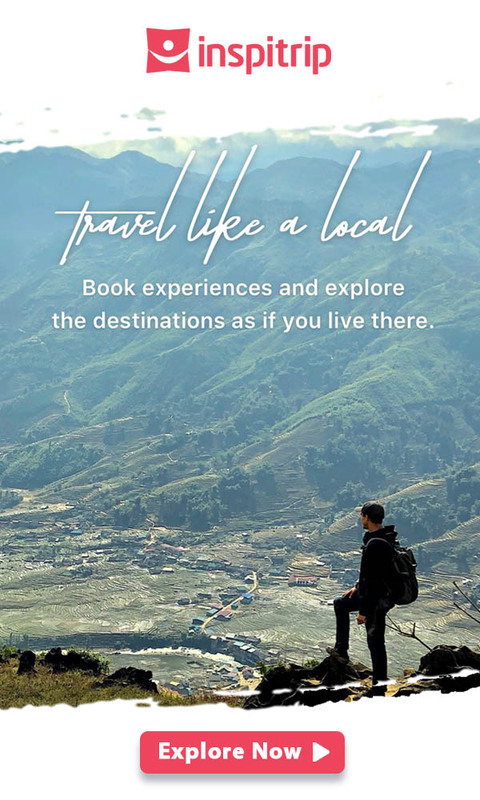 Lots of people associate the backpacker district with being touristy, but fear not, our detailed guide will show you how to get-off-the-beaten-path in an area full of tourists. Spending your night at Bui Vien is never a bad idea.